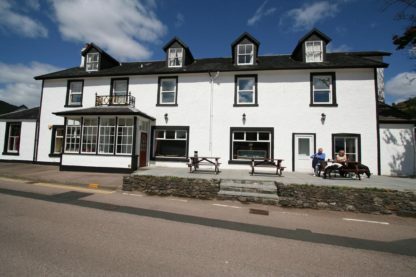 The Goil Inn sits at the head of Loch Goil, a fjord-type sea loch within the Loch Lomond National Park, only one hour from Glasgow Airport. With a special location surrounded by hills, and with superb loch views, The Goil Inn is an old coaching inn located in the heart of the village. It offers 5 en suite bedrooms all with a TV and tea/coffee making facilities. The hotel is one mile from the Drimsynie Leisure Centre and Golf Course, where guests have use of the swimming pool, sauna, spa bath, and steam room, as well as unlimited golf during their stay.